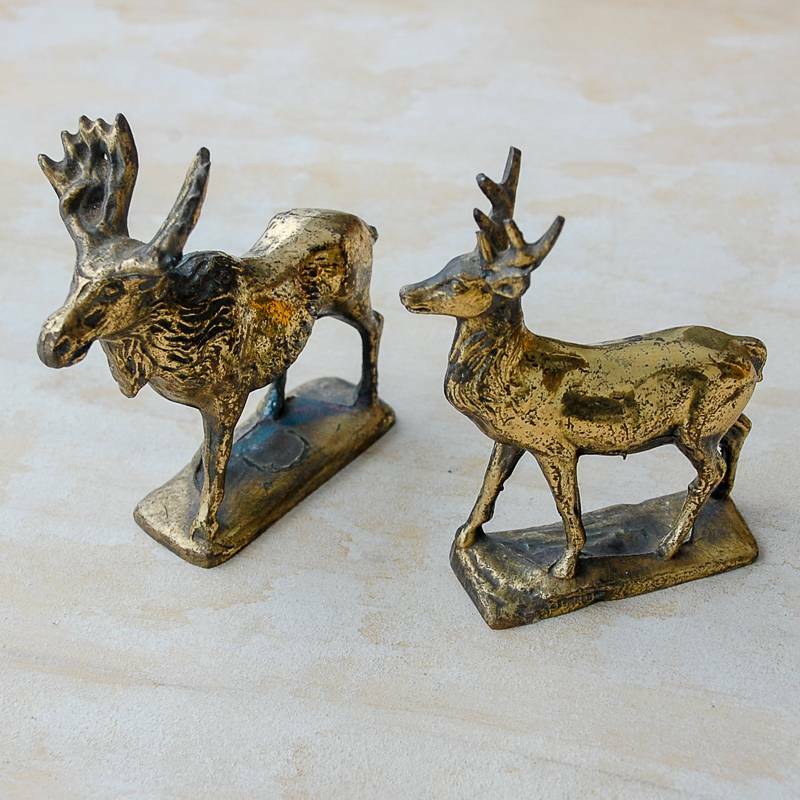 This charming circa 1900 bronze moose & deer pair would be as happy in the country as they would be in the city. 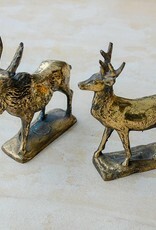 They have a gold patina and maker's mark on the base with pat. pend. inscription. Bring them home for the holiday season.